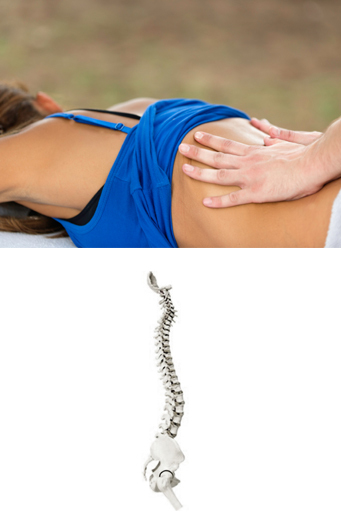 McTimoney chiropractic is a safe, gentle and effective technique for manipulating the spine and other joints of the body. Although known mainly for treating ‘back problems’, Chiropractors treat musculo-skeletal problems as well as other conditions caused by injury, stress or disease. Chiropractors can also help patients to recognise the causes of their symptoms and give advice on how to avoid similar problems in the future. This can range from stretches and exercises to lifestyle changes. Chiropractic gets to the source of many types of pain by removing interferences with the nerve supply, allowing the body to function in a natural, relatively pain-free way. Treatment is by manipulation of the joints combined with soft tissue techniques. Chiropractic is also a preventative therapy. A regular service session two to four times a year helps keep your body stress free and in good working order. How can bones become misaligned? Bones of the body can be moved fractionally out of place by: falls, sports, lifting, accidents, childbirth, poor posture and by all the other day to day stresses and strains of modern life. McTimoney Chiropractors assess the whole body at each treatment. Bones can be checked and adjusted in the face, skull, chest, spine, pelvis and limbs. On your first visit, you will be asked about your general health, past and present, as well as details of your current symptoms. An explanation will be made of the aims and effects of the treatment. Even long standing, chronic and acute painful symptoms may be helped. Almost anyone can be treated including babies, young children, pregnant women and the elderly.